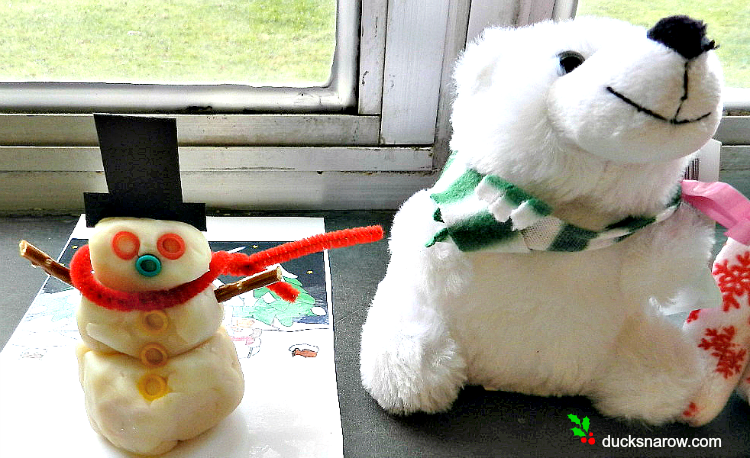 Last year my first adventure in making homemade playdough was the Glittery Playdough that we used for our snowman craft. 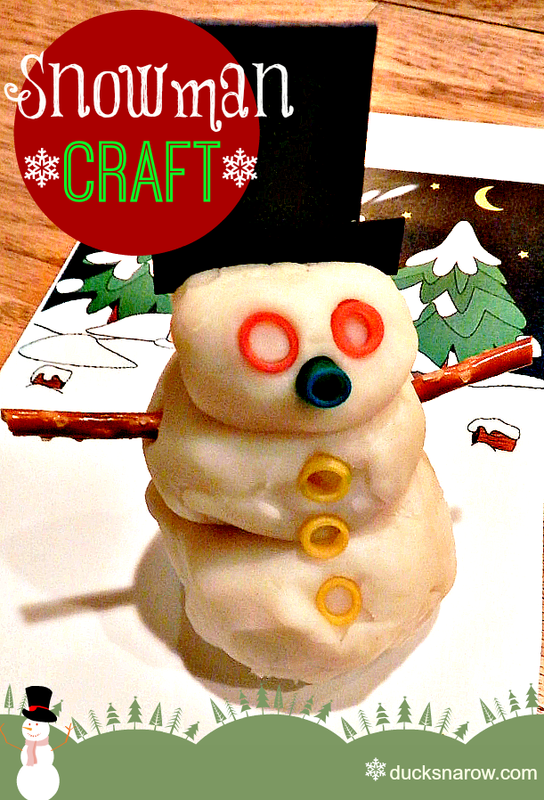 It was a fun activity and the snowmen turned out so cute. The kids loved it! As is typical with a first-time experience, though, there were some things that I made a mental note to do differently. First, no candy for buttons. The color from the blue M&M’s ran a little bit onto the dough. Also, the playdough recipe was a good one but not the best one. I later found a much nicer recipe that I shared with you in my How To Make Playdough post. It makes a much softer and more pliable dough. Very fun to use. When my students have a choice between the homemade and store-bought, they ask for the homemade every time. I’ll never go back. This year we used colored pasta for the eyes, nose and buttons. It worked great! We had just studied the Letter J is for Jewelry and I had tons of colored pasta left from our jewelry making craft (pasta = beads.) Those little colored morsels were just begging to be used! The arms were made with pretzel sticks. Scarf? A pipe cleaner. The top hat was cut out of black construction paper. The mat that I made last year for the glittery snowman looked so nice that I decided to do it again. It is a special way for the children to display their works of art. Here is a copy of the display mat for you to print and use. I recommend laminating it. There are two mats to a page. Tip: This is a nice “keep ’em busy” craft to do at a holiday party where little children are among the guests. They will love it and so will you! Previous Post: « Declutter Your Way to Happiness — a few minutes every day!